5 Tips to Win the Crowd at Your Fourth of July Celebration! The Fourth of July is just around the corner, so now’s a great time to start planning your holiday festivities. With everyone off work and the kids out of school, this event is the highlight of the summer. As you’re planning your Independence Day bash, here are a few tips that will help make sure your party is the topic of conversation for the rest of the season. 1. Great Grub for the Whole Crowd: Hamburgers and hotdogs are the staple of most summer cookouts and parties. However, there are plenty of ways to spice up these classics. Add some flare to your condiments table with fun sides like mango salsa, guacamole, mushrooms, and sautéed onions. While most of the kids may prefer the traditional American or cheddar cheese, you can offer your adult guests something more exciting with blue cheese crumbles, goat cheese, or pimento cheese. For the desserts, try something colorful like a strawberry and blueberry fruit salad for an Independence Day twist. 2. Decorations: This party may not require the extensive décor of a Christmas party, but Fourth of July decorations are a great way to get everyone in a festive mood. Red, white and blue bead necklaces are perfect for the kids. Party stores are a great place to find simple Fourth of July decorations such as American flag table cloths. If you’re going to use any centerpieces on your tables, you can make them festive by simply adding a mini flag. For the craftier party planner, decorating solo cups with stars, stripes, or fireworks can add some extra flair and help make it easy to tell which cup is whose. 3. Keep the Kids Entertained: While this may be a family event, your adult guests will enjoy themselves much more if you have plenty of activities to keep the kids happy too. When you pick up your Fourth of July decorations, grab a few games for the kids. Depending on the age range of children at your party, they may be able to entertain themselves with tag or hide and go seek. If it’s appropriate, all kids love water balloons and water guns. For a dry party, try ladder ball or setting up a few relay races. 4. 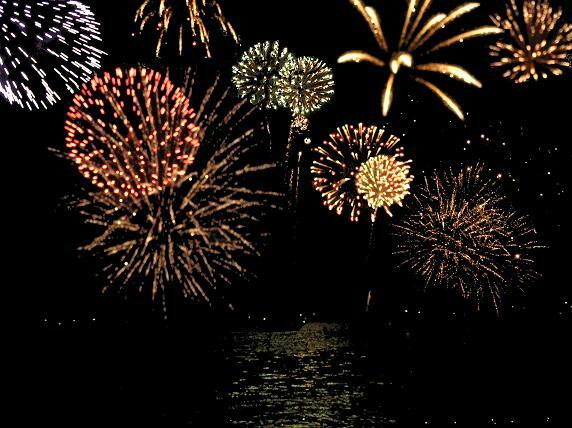 To Firework or Not to Firework: If you’re not in a location where you’ll get to see an actual fireworks show, you may be tempted to try some at home fireworks. The most important consideration is whether or not they are legal in your state or county. Next, you need to consider the demographic of your guests. If you have small children or elderly guests who may not enjoy the loud noises, this might not be a good idea. Additionally, if you live on a small lot near other houses, at-home fireworks can be very dangerous. 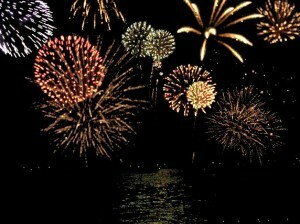 In most cases, unless you’re near a beach where fireworks are legal, there are too many risks associated with this. However, a much safer, still fun option is sparklers. With a little supervision, these are safe for children as well. You can buy them in bulk along with your other Fourth of July decorations and add a fun “spark” to your party for cheap. 5. Entertainment: A fourth of July gathering is usually quite a long party. Therefore, you need to make sure your guests don’t end up checking their watches every hour. While talking with close friends is always a good time, if you throw in a few fun activities you’ll have pleased guests wondering how such a fun evening went by so quickly. Volleyball, corn hole, and horseshoes are all fun games for adults to enjoy. Unless you’re planning to really splurge on this party, a band is probably out of the question, but having some sort of music playing is a nice touch to the atmosphere. These are just a few ideas for your summer bash. The key to a successful party is planning ahead but also being flexible and willing to go with the flow on the day of the party. Most importantly, make sure you also get to enjoy the party you’ve worked so hard to plan.